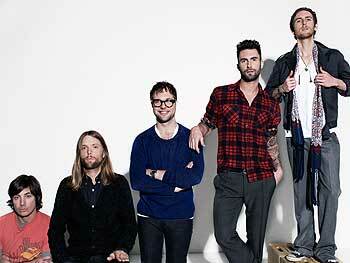 Maroon 5 is my guilty pleasure and I am NOT ashamed to admit it. Anyone who says they don't like Adam Levine's voice is either lying or Helen-Keller status. Cutmore's edit of the never-aging band's (srsly, Adam Levine and Halle Berry, how do I get your genes) latest song, Maps, will have you up and dancing before you can even say "wait, isn't this Maroon 5? Is this 2008?" Cutmore manages to make a remix legit enough that it actually sounds like R.A.C. crafted it. Map already is a solid song, but Cutmore's added EDM marching-ban drum build, jivey house piano and sped up tempo make this track shine. The percussion cut out and piano slide around 2:40 and onward only adds extra funk to the already infectious dance track. TOTALLY thought they were saying "for the win" over and over again for the longest time, which made me want to vom at the idea of middle-aged men using the high-school term repeatedly. As it turns out, they're actually saying "following" which makes much more sense, so vom-free over here (til weekend's festivities at least).